As a team we have certainly done a bit of travel in Africa. Our hard drives have all the classic, beautifully lit portraits of lion, and elephant, and waterfalls and rainbows and more. But there are also rare, unique scenes which in quieter times we think back on and smile. Here we share these moments with you. "After a long day of travelling through Northern Botswana with temperatures reaching 40°C and our vehicle’s broken air-conditioner offering no relief from the heat, we neared sense-of-humour failure. On route to Planet Baobab via the Makgadikgadi pans our GPS led us astray and we wound up on a two-hour dusty detour. Luckily, there is often beauty and adventure in getting lost and when we came across two horsemen herding cattle I had to capture the surreal moment." 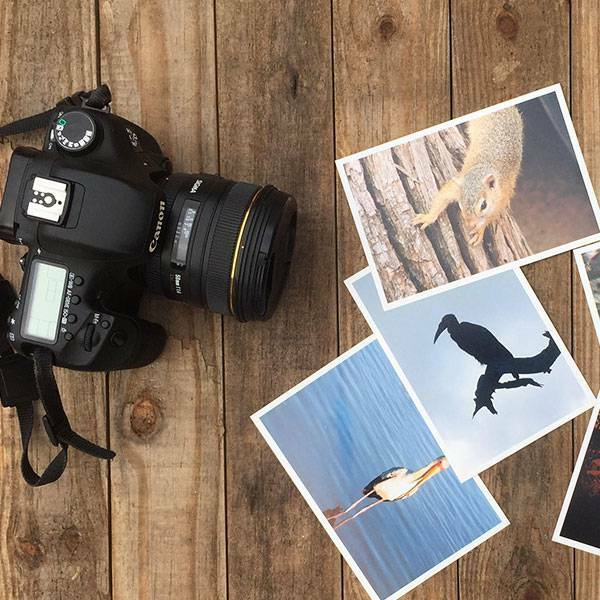 Image and write-up by Tania who handles photography, media and social media work. "The rapid waters of the gorge finally abated as it spread out to meander through the flood plains. It was welcome relief. The sun baked down on the stretches of white beach sand. The distant giggles and childish laughter carried across the still water. It is on these kinds of adventures that one comes across things you've never seen before. A mekoro, yoking along behind a team of cattle. The cows tug and jerk the wood-hewn boat across the sand, children riding the makeshift wagon, dancing to the tune of donging bells." 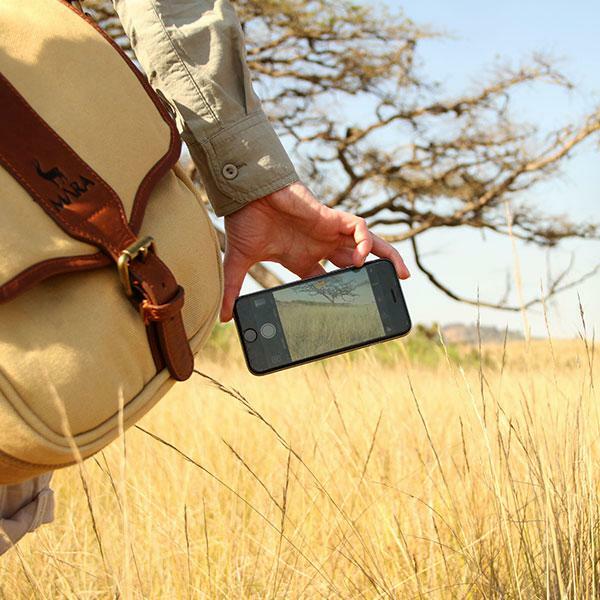 Video and write-up by wildlife artist Brent who is also on our Expedition Tested™ team. 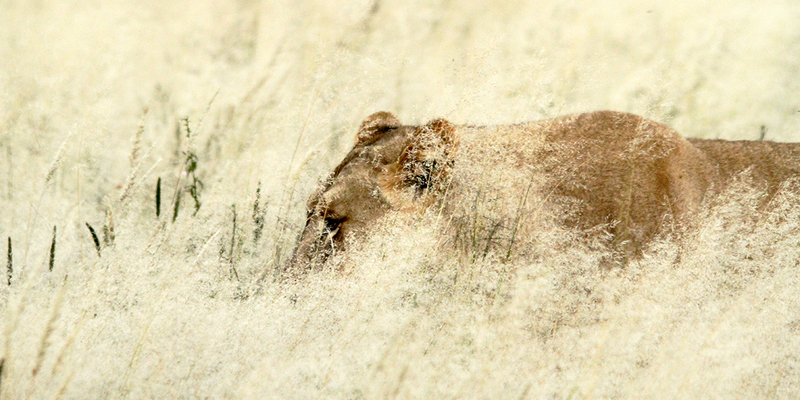 "A lioness silently walks past our vehicle through the tall white grass on a late afternoon drive in Erindi Private Game Reserve." "The Kgalagadi Transfrontier Park never ceases to amaze. 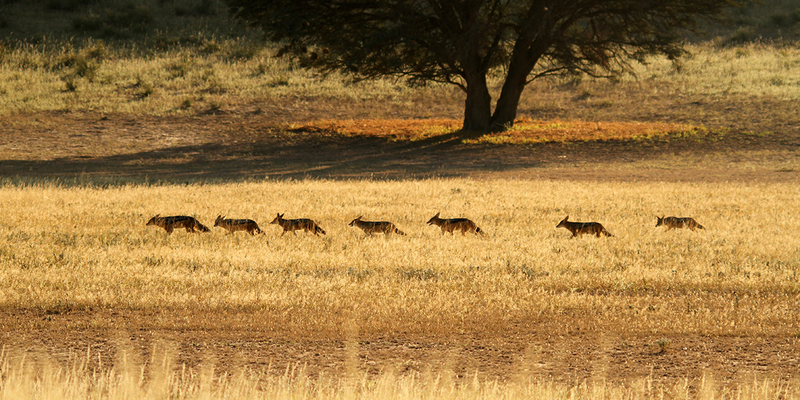 This sighting of seven jackal running in a perfect row was truly amazing. I never did find out where they were off to!" "A number of encounters with a pair of mating lions at Kruger National Park presented never-fail exhilaration and a chance to observe this power couple over the course of a few days. Captured on my iPhone through the Swarovski spotting scope in soft afternoon light, the focus on the grass created this almost impressionistic look to the picture. Elegant in his recline, his battered face told a story of the scars incumbent in dominion." Image and write-up by Claire who is our copy and adventure writer and is on our ExpeditionTested™ team. Image was taken using a Swarovski spotting scope with an iPhone adaptor and iPhone6s.